DEKALB COUNTY, Ind. 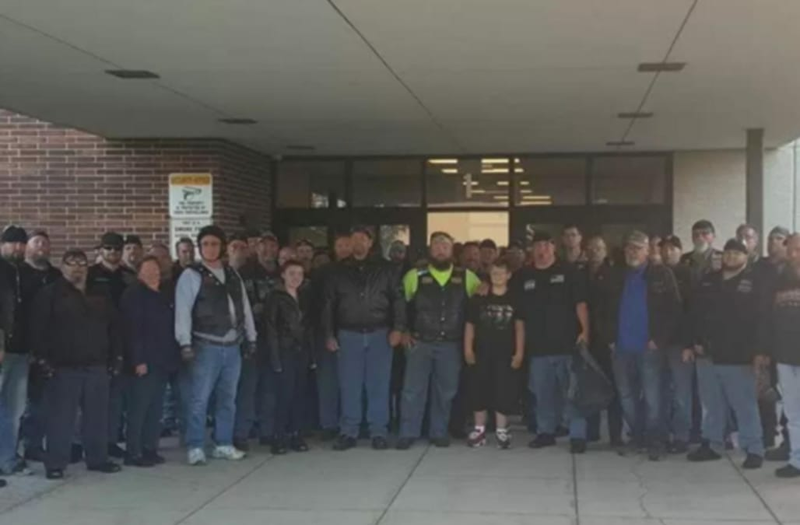 (KSWB) – A group of more than 50 bikers in northeastern Indiana stepped in to help when they found out a sixth-grade student was having trouble with bullying, according to WXIN. Tammy Mick, the mother of Dekalb Middle School Student Phil Mick, said it got so bad he told her he contemplated suicide. She spoke with Brent Warfield of KDZ Motorcycle Sales & Service about it, and Warfield immediately stepped in to help. Warfield is the director of United Motorcycle Enthusiasts, and he told WXIN he's been hosting charity rides for years. He's been working to raise awareness about bullying and teen suicide, so he decided to organize a special ride for Phil on his first day of middle school. He posted the information on Facebook just a few days beforehand, and he got an incredible response. More than 50 bikers met with Phil and his family for breakfast before his first day of school. Some bikers even traveled from over an hour away. They prayed with Phil before they all escorted him to school. Warfield said the school was very welcoming of the idea, and Phil was very excited about a fresh new start. Warfield said this wouldn't have been possible without the help from all the big-hearted bikers in the area who are working to raise awareness about bullying and teen suicide. United Motorcycle Enthusiasts is having a ride for suicide awareness and teen bullying on September 23. "We want to get our message out there that we are here for our youth. They are not alone," Warfield told FOX59. If you or anyone you know are looking for resources with bullying or suicide, visitStopBullying.org or The National Suicide Prevention Hotline.